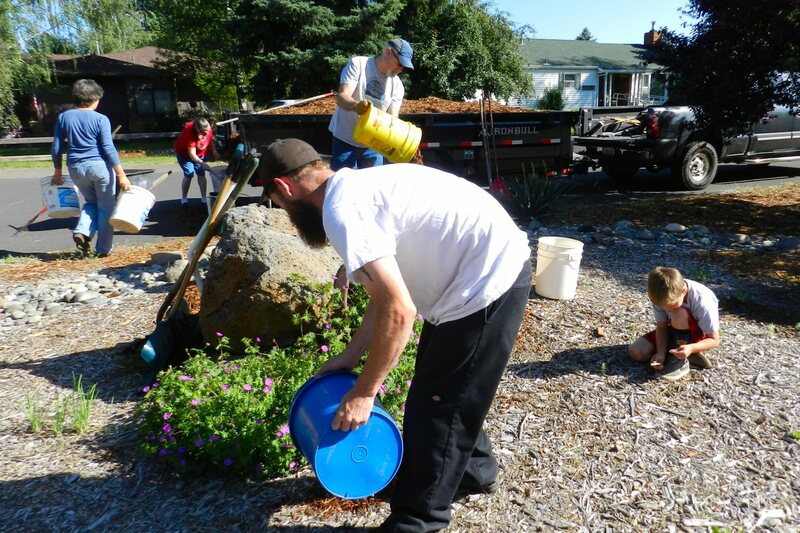 Burney Beautification volunteers came out to lay new chips on Christmas Tree Lane on Friday morning. Don and Jill Binger brought a trailer full of fresh chips. 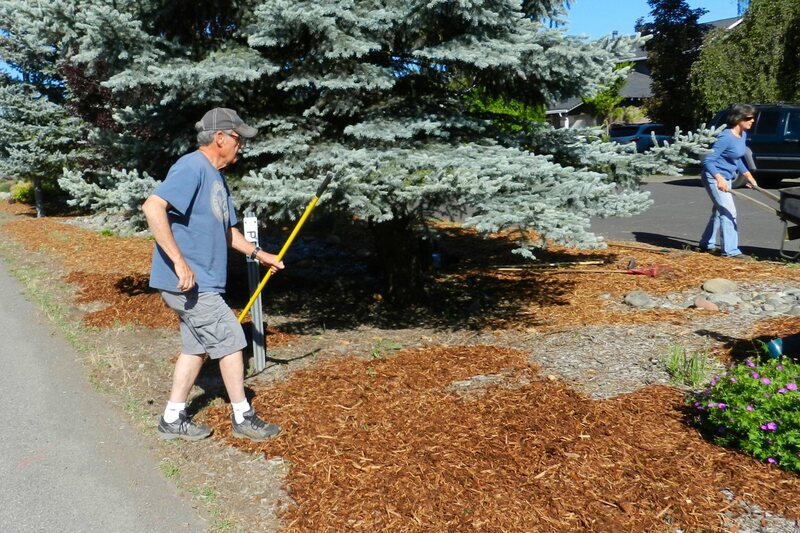 The day’s work was done both as part of the Beautification Committee’s regular upkeep and landscaping and also to prepare for Burney Basin Days. Levi Beason and young Bradey helped to load and spread the chips. Ann Wilburn was also there early to help. Before long Bobby Lindgren and Buck Buchanan also came to help. 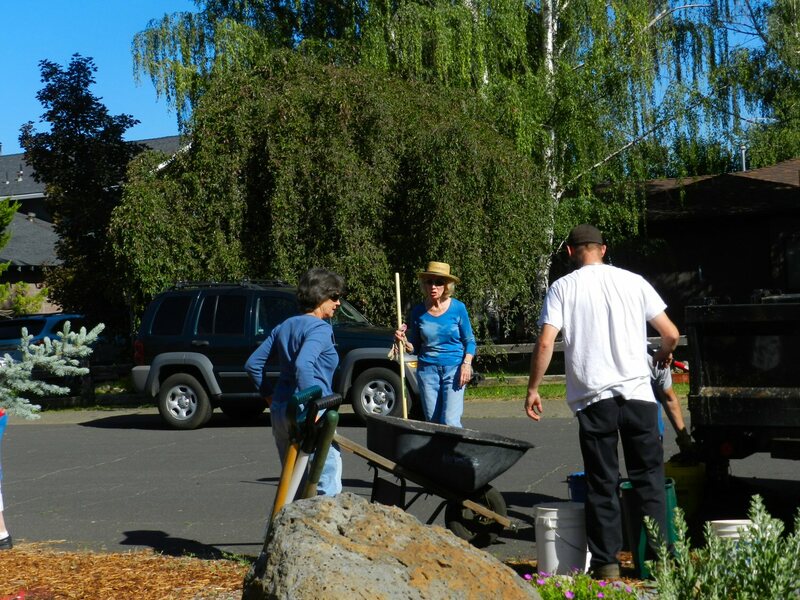 The Burney Beautification Committee is made up of community-minded volunteers. 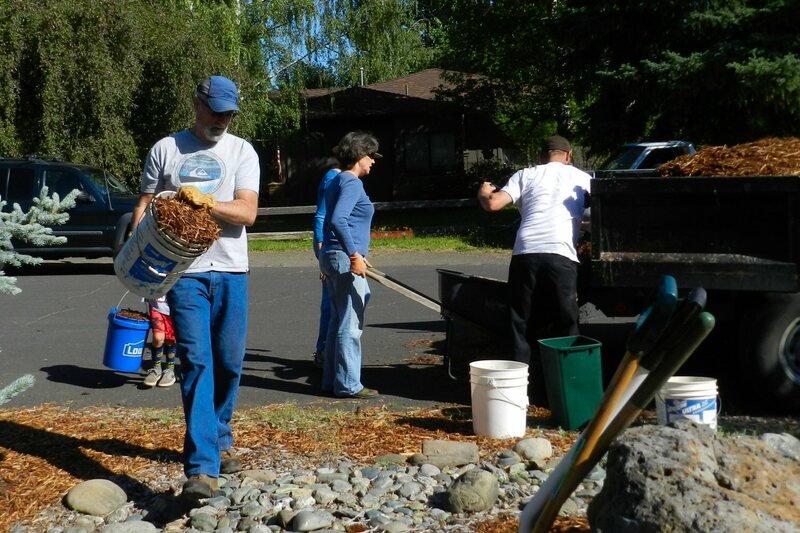 There is a fund at Tri County Community Center that people can donate to help support the effort to improve and upkeep the town’s landscape. Money from the fund was used to purchase the chips. Jen Luck is running for 2018 Honorary Mayor of Burney to support Burney Beautification.